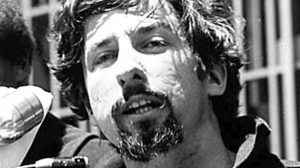 Unsurprisingly, the mainstream media has been gushing over rabid communist sympathizer, one of the “Chicago Seven” of the Weather Underground Organization in the 1960s and 70s, and prominent anti-Vietnam protester Tom Hayden on the occasion of his death on Monday at the age of 76. The truth is that the House Un-American Activities Committee was a.) started by democrats and b.) did not go nearly far enough in exposing the communists who actively seek to fundamentally transform America. The communists did not “evaporate” after the fall of the Berlin Wall. 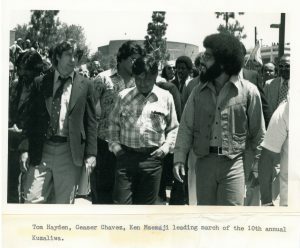 In fact, communists and their sympathizers such as the vile Tom Hayden exist and currently form public policy as revealed in Trevor Loudon’s film, The Enemies Within. He [Hayden] made the first of several trips to Vietnam in 1965, accompanying Herbert Aptheker, a Communist Party theoretician, and Staughton Lynd, a radical professor at Yale. While the visit was technically illegal, it was apparently ignored by the State Department to allow the American peace movement and Hanoi to establish informal contacts.